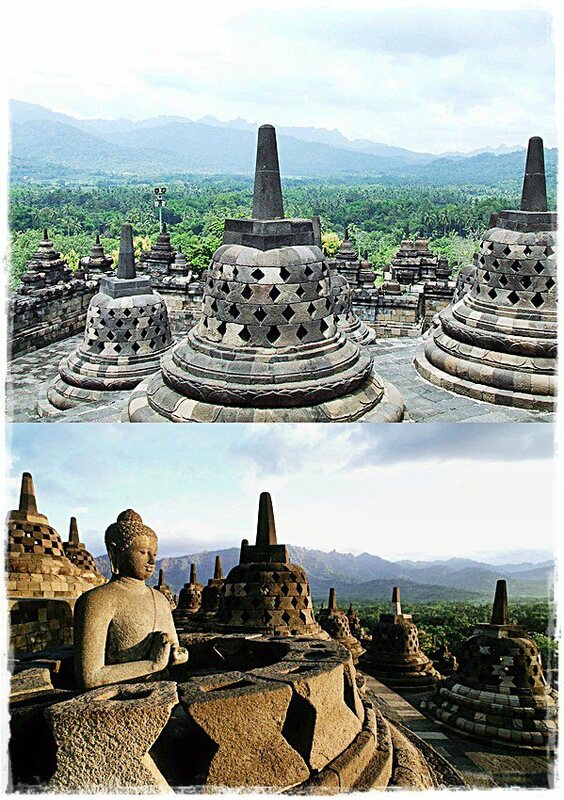 Borobudur or Barabudur is located in Indonesia. The monument consists of six square platforms topped by three circular platforms and it is decorated with 2,672 relief panels and 504 Buddha statues. It was built during the reign of the Sailendra Dynasty and the monument reflects the influence of the Indian culture. Based on existing evidence, the Borobudur was believed to have been constructed in the 9th century and then abandoned.It is still used for pilgrimage. The Buddhists in Indonesia will celebrate Vesak at the monument, once a year.